You may have heard of the pixel when investigating how to set up Facebook advertising but if you’re merely targeting Facebook ads to people based on location, age and interests alone, you’re missing a big trick. 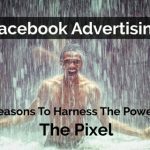 The Facebook Pixel takes your Facebook advertising to the next level with powerful techniques so you reach exactly the right people with tailor made Ad campaigns, and improve your ROI. i) Base code – this tracks visitors to your website and is reported as “Page Views” in your pixels section of Facebook Business Manager. ii) Event codes (standard events and customised events) – these allow you to track specific behaviour (conversions) of your website visitors eg. View Content, Add to Wish list, Add to Cart, Make Purchase, Complete Registration. Once you install these codes on your website, Facebook starts gathering data about your visitors and what they do – enabling you to create some mega-targeted Facebook advertising. The Facebook base code pixel enables you to create a custom audience of people who have visited your website. This means you can retarget adverts specifically to those visitors whom you know already know your brand. 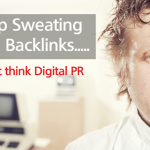 A far more exciting audience than simply your website visitors is the Lookalike Audience. Facebook considers your custom audience and based on the wealth of information it holds, will create a lookalike audience. So for example, if your custom audience “website visitors” includes 18,800 Facebook users…. Facebook may helpfully find over 400,000 similar people to whom you can show your ads. This is a great way to reach people who have most likely not even heard of your brand. Imagine you have an eCommerce website and want to encourage people who have purchased a product to purchase again. Wouldn’t it be great to target this specific audience via a Facebook Ad campaign? By using data collected from your Facebook Pixel event codes, you can do just that! And in fact you can create audiences based on all the event codes you track on your website. These type of custom audiences are now easier than ever to set up – you simply need to create a custom audience based on your website visitors, and choose the event you want the audience to be built on. One of the most powerful aspects of Facebook, is the lookalike audience as mentioned previously. If for example you have a custom audience of people who purchased on your website, Facebook will create a lookalike audience of people who frequently purchase online – you could well have 100s of thousands of people who don’t yet know your brand, but could well be persuaded to purchase from you with your captivating ads! You may have created a special offer on one page of your website and wish to advertise exclusively to those who visited that page. Well Facebook has the answer. 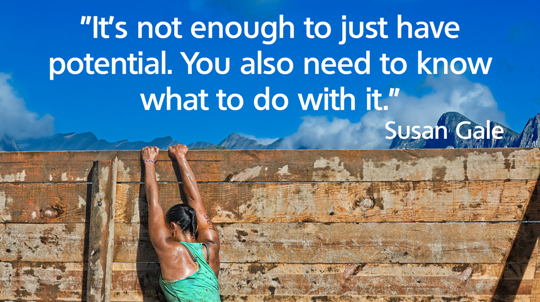 Create a customer audience of visitors for that specific page. And once again, you can create a lookalike audience. Logic says that people who spend most time on your site are most likely to become purchasers. Using the Facebook pixel enables Facebook to identify time spent on your site, so you can create ad campaigns that reach only the most interested of your website visitors. And guess what – lookalike audiences can be created! Now that you have set all of your custom and lookalike audiences, it’s time to show some them your Facebook adverts. In Ads Manager you have a wealth of marketing objectives for your Facebook advertising campaigns. and when setting the audience, simply choose your preferred custom audience. 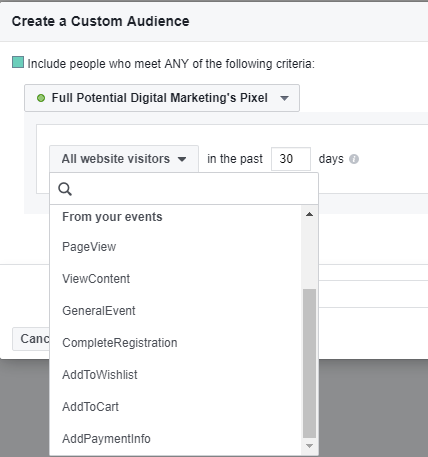 If you’re keen to use Facebook advertising to show ads to people most likely to undertake a specific event on your website (add to cart / complete form / purchase etc), you need to use website conversion adverts. 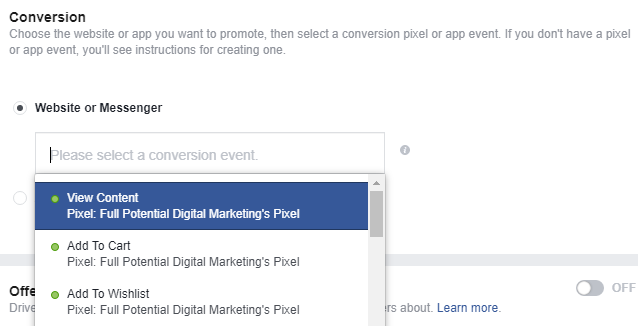 Facebook uses the pixel on your website to understand more about the visitors who have already converted on your site, and to target to other similar people it believes are likely to convert also. If these 8 options aren’t enough to persuadue you to set up and start using your Facebook Pixel without delay then we don’t know what else to say! 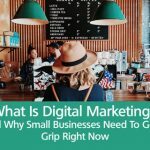 If however you aren’t sure about how to handle this powerful pixel or need some more advice, then either check out the Facebook guide here Or contact us to help with your Facebook advertising campaigns – please feel free to drop us a line.